Maserati of Baltimore has strengthened ties with the duPont Registry, the classified marketplace for high-end new and used cars. At the Baltimore Auto Show last month, duPont used High Road cars to decorate each of its displays. “We provided the bling for duPont,” MOB general manager Jack Davis says. The monthly publication will begin featuring the M*O*B Exotic Car Gallery, a full-page display of pre-owned Maseratis, Ferraris and Lamborghinis from our inventory. Look for the M*O*B Exotic Car Gallery on our back page as well in the coming months. We hope you are pleased with the expanded newsletter format we introduced last month [through FOW]. We didn’t get a chance to mention it then, but the electronic (pdf) version now features clickable links. These are indicated with red double arrows. For example, clicking8highroadAG.com will take you to our website. Web surfers who receive the printed version of “La Strada Maestra” may wish to download the pdf as well, if only to take advantage of this interactive feature. Chef Tony Gambino does it again… be sure to ask him about the “Seafood Lamborghini” special for guests visiting from M.O.B. Exotics. We’ll look forward to having lunch AND dinner with you again really soon! Inside, the ambiance was casual and warm. Everything was upscale, but we were still comfortable on a cold night in denim slacks and cashmere. Sportcoats would have been welcome on all the guys, but I can’t imagine the staff would ever shun anyone hungry who came in without a tie–and the ladies (we suspect) are always comfortably attired here whatever the fashion or season. The waitstaff was prompt to seat us right at the window without our even needing to ask, and everyone from busboys to parking attendants were polite, friendly, and gracious. Bottom line, from the moment we pulled up at the curb, we knew were were in for a treat. Wandering away from the kitchen and past the hockey game on the big flat screen over the well-stocked bar, Chef Tony Gambino ambled over to say hello. Once he realized we were newly arriving locals, he flashed a big smile, made a string of jokes, and (to us) felt like an instant friend. Now, knowing that we already made it through our Calamari with fresh Marinara and some of the best Clams Casino around did not make us any LESS comfortable when we met him(as much as we are food lovers)–but his award winning personality was the personification of charm in the Charm City. Between the food and fun, it is obvious to us why Tony is loved by everyone in town. All in all, we had a wonderfully relaxing evening. The food, company, wine, and atmosphere was just the right combination to make for the end of another great Baltimore week and to get us ready to do Monday right. We couldn’t have had a better end to our day or a start of what we hope will be a long and wonderful family dining and “handshake promotion” friendship with Ciao Bella. As for the “SPECIAL SAUCE”: Chef Tony Gambino has been so good as to extend a parking invitation to MOB EXOTIC Ferrari, Maserati, and Lamborghini drivers; call ahead to have dinner at his place, tell him Jack from M.O.B. Exotics sent you, and he’ll reserve a spot out front for you. Like he says , “I joke all the time on my shows that I am promoting Little Italy’s Restaurant MOB and Meatballs… Now, finally, we have a highline Italian car store [Maserati of Baltimore] and now Jack with MOB Exotics has wandered into my place. What could be better? You come and eat here. We’ll make you and your beautiful cars feel right at home.” How cool. 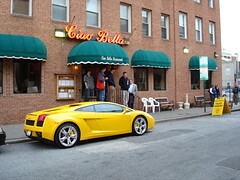 Ciao Bella: great owner, great staff, phenomenal food. 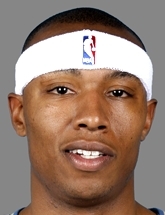 Caron Butler, Forward for the Washington Wizards, celebrated his 28th Birthday in style and M.O.B. Exotics was happy to be there and wish him a perfect day. Butler planned a smash party, and guests were delighted with both the all-star crowd and the glitz and glam of the night. Held at the upscale venue of the Park at Fourteenth, the “special VIP guests” out front included a pearl yellow Lamborghini Gallardo courtesy of Jack Davis from M.O.B. Exotics (driven by Representative Alfred Ramos), and other bad boy toys such as a Black Lamborghini Diablo and Black Murcialago. Of course, other star A-listers were there as well, including socialite and party Hostess Kim Kardashian and club owner Mark Barnes. Happy Birthday, Caron… thanks for inviting us to come out and play to share your special night! 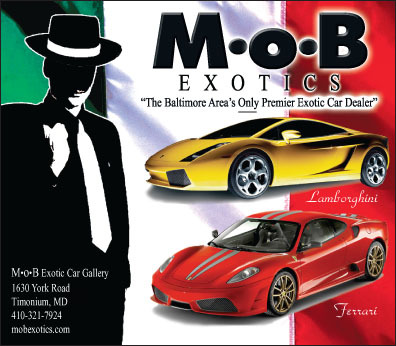 MOB EXOTICS and Maserati of Baltimore unite to join forces with the Capital Grill, 500 East Pratt Street, Baltimore, Maryland 21202, phone 443.703.4064 to welcome all our guests, clients and visitors to the Greater Baltimore Washington region and the heart of the Inner Harbor. Details to be announced, but expect to see a lot more Lamborghinis, Maseratis, and Ferraris on display for visitors to the Capital Grill in the coming seasons, and some future special event promotions, too. With the finest luxury automobiles in town, our group is happy to work as Ambassadors for the Capital Grille Baltimore and their guests, and we feel very fortunate to be able to have such a wonderful opportunity to promote their hospitality and food. Special thanks to Jack Davis and Alfred Ramos for spearheading this very special and unique community event promotion, and the Capital Grille for requesting our participation. For more information contact jdavis@mbalt.com. They can offer you terms you can’t refuse. If you’d rather finance or lease than pay cash, just ask. Maserati of Baltimore and MOB Exotics has the flexibility to satisfy all requirements for the purchase of your next highline or luxury car investment. Years of experience dealing with exotic cars for an exclusive clientele means that we can put together a program that fits your desires, and Jack Davis is the best in the business when it comes to finding the unique combination of car options and payment terms to suit you. Email Jack Davis (jdavis@mbalt.com) or call him directly to begin the discussion process. When you come to visit you will be able to relax and enjoy our automotive museum quality atmosphere in Timonium. So, relax, have a cappuccino and let us take care of the details of making sure you can drive your next favorite thing home with you. Showcasing exotic vehicles from Ferrari & Maserati, courtesy of Ferrari Maserati of Washington & Maserati of Baltimore.